Rio de Janeiro is a city divided, its poor and dispossessed crowded into favela slums that occupy the surrounding hills and ridges. The slums are ruled by violence: armed drug gangs for the majority, and brutal occupation by police for those that become political liabilities. The Arisen concealed in the slums remain hidden, ignoring the bloodshed whenever they can and using it to hide their own struggles. Tonight, though, the violence is targeted at them. Called back to life by their cults, the mummies of the favelas face an unknown threat with no time to prepare—cultists are dying right now, and armed men are on the way. “Eve of Judgment” is a short story that introduces the core elements of Mummy: The Curse, intended as the kick-off story in a chronicle or a one-shot game to get used to the mechanics and setting of Mummy. It’s intended to move quickly, keeping the pressure of time slipping away throughout, and features a branching set of scenes that, in the middle section of the story, can be taken in any order. If you’re using it as the first story in a chronicle, you’ll find several hooks and opportunities for expansion. 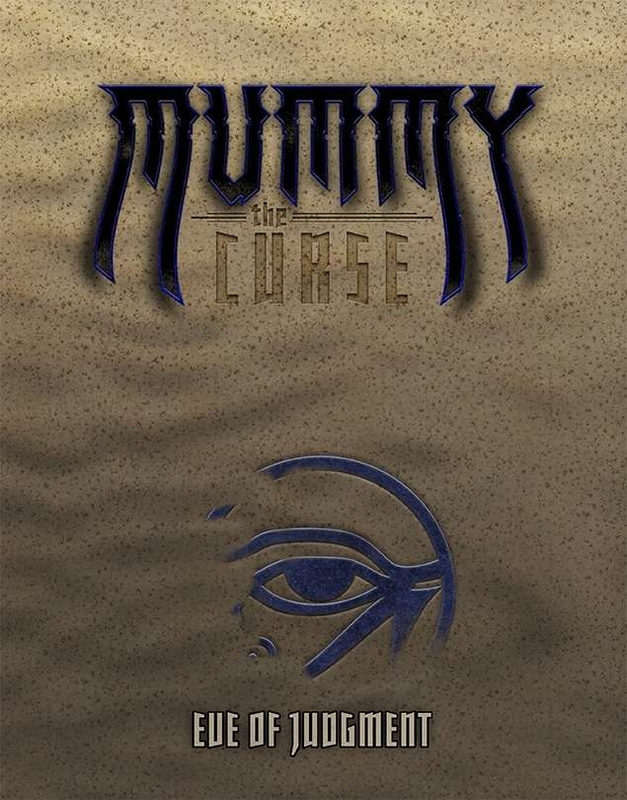 Eve of Judgment is a section from the Mummy: The Curse book (so if you have Mummy you already own a version of this SAS) and requires Mummy: The Curse and the core World of Darkness rulebook. This title was added to our catalog on April 03, 2013.